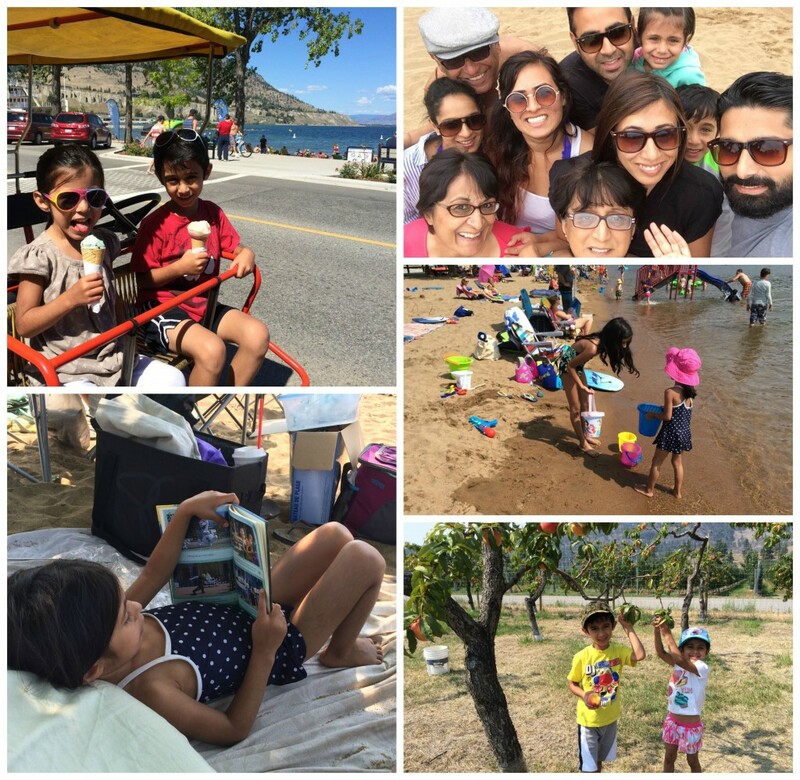 Growing up, every summer our parents took us to Penticton for a trip. Sometimes it was just the five of us. Sometimes it was a group of us. However, every time we went, it was always lots of fun! Now that we are all-grown up, our family is always reminiscing about our trip and everything we did. We used to go to the beach, river channeling, horseback riding, waterslides, you name it, we did it! We have so many amazing memories! After moving back to Vancouver, I realized that I wanted my kids to have these memories of their childhood. 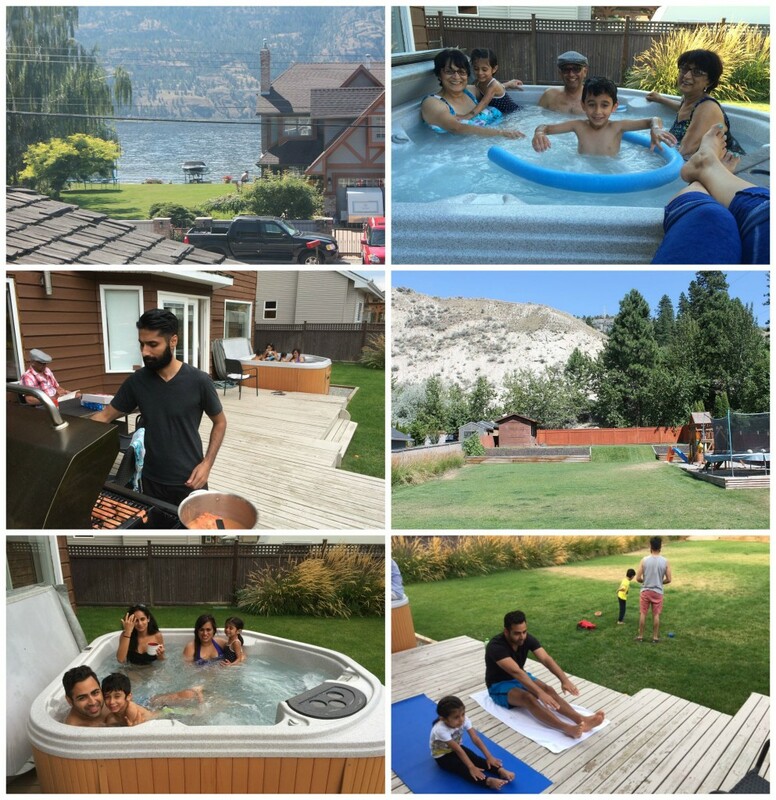 So last year, we started our Annual Family Vacation in Penticton. The kids had so much fun, that they couldn’t wait to go again. When we were kids, we would always stay at a motel that was close to the beach. It was convenient and inexpensive. But times have changed and now motels are as expensive as any other accommodation, especially at a summer destination like Pentiction. So we decided that renting a house would be the best way to go. It gave us more room, more convenience and the comforts of home. Friends suggested we try out VRBO and I’m so glad we did. We ended up finding the perfect house close to Skaha beach and it really made are trip just that much better! We went up with the whole family, grandparents and all. Everyone had enough beds, there were even bunk beds for the kids and there were 2 AND a half bathrooms, so no one had to ever wait. We had a washer and dryer, so we didn’t have to pack as many clothes, and an amazing kitchen. But the best part had to be the backyard! It was as big as a field! It had a big wooden play structure for kids, a perfect barbecue set up and the piece de resistance, a hot tub. The kids literally went in the hot tub twice a day, in between our excursions into town. We also spent a lot of time at the beach playing in the water, building sand castles, relaxing and eating ice cream.We had such a great time riding down the river channel on our air mattresses, picking organic peaches from the trees, eating ice cream and cruising around town in the family quadricycles. Even though the waterslides are no longer there and we couldn’t find the horse back riding, there was more than enough to keep us all busy and happy for the week. Things we still want to do, hopefully next year, are cherry-picking, hitting the driving range, renting a sea-doo and trying out the huge floating water park. And of course we will definitely want to stay at the same house with it’s amazing view of the lake. If something works, then why change it right? Where’s your favourite place to go for a quick family vacation in the summer? That looks like a fabulous holiday destination and house. Your family looks so happy. My last holiday was a cruise on the Caribbean about ten years ago. So, I wish I was with you. Yes renting is the best way. You van make yourself feel at home when your on vacation. I can feel the relaxation pouring out of this post— what a wonderful little summer trip!! So fun! My favorite memories as a kid are vacationing with our families. However, our trips always involved long car rides! That house looks so fantastic! What a yard!!! Looks like you had a fabulous time! 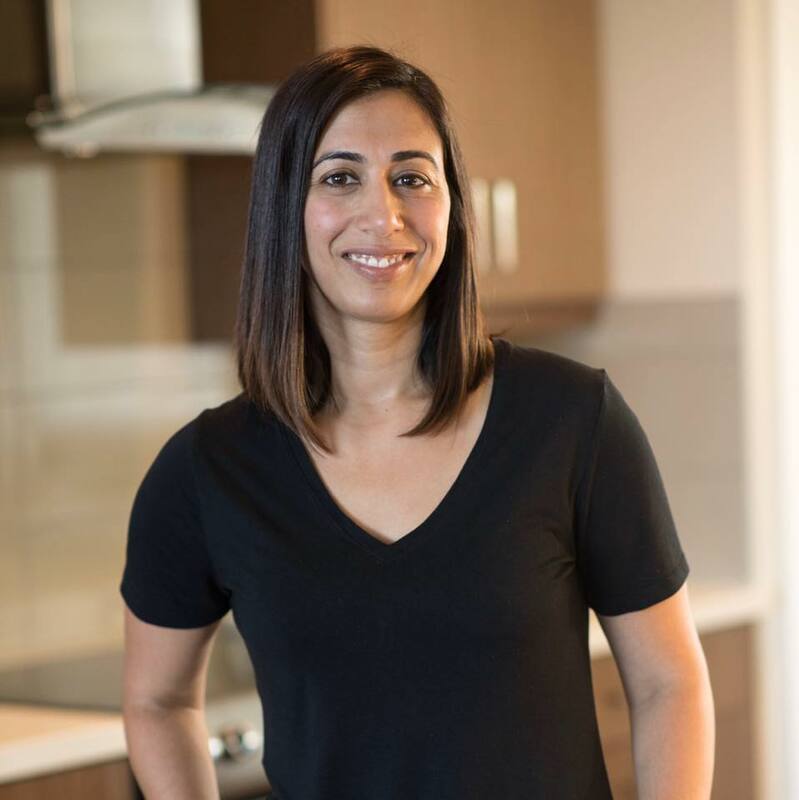 We like to go to Harrison Hot Springs or Gibsons on the Sunshine Coast, but after reading your post we may have to add Penticton to our list too!